(NaturalNews) The collapse in the price of oil and gasoline due to major increases in global supply has been a financial boon to tens of millions of cash-strapped Americans still struggling to earn a living in a stagnant economy. But while consumers are breathing a sigh of relief, many oil producers are increasingly worried that they won't survive the nosedive in prices, since many of their operations were launched with the belief that prices would remain above a certain level. As reported by Bloomberg News, a number of oil drilling firms are likely to go under in the second quarter of 2015 if there remains a glut of oil worldwide, which is driving prices down. Oil drillers will begin collapsing under the weight of lower crude prices during the second quarter and energy explorers who employ them will shortly follow, according to Conway Mackenzie Inc., the largest U.S. restructuring firm. Companies that drill for oil and then manage oil fields on behalf of producers will be the first to succumb following swooning prices for West Texas Intermediate, a benchmark American crude oil which has lost 57 percent of its value over the past seven months, John T. Young, whose firm directed Detroit through its bankruptcy in 2013, told Bloomberg News. Already, oil companies have cut thousands of jobs and put off launching billions of dollars worth of projects, while either dropping or scaling back plans to expand as prices remain in the cellar. And, for oilfield service providers that line holes with steel and cement and conduct testing on wells, Young says the impact of lower oil prices on those firms will really start to bite in the April-June time frame. "The second quarter is going to be devastating for the service companies," Young told the financial news service from his office in Houston. "There are certainly companies that are going to die." CNBC reported Jan. 26 that oil prices slipped further following a smooth transition of power in Saudi Arabia after the death of King Abdullah. The country's new king, Salman, moved to reassure global markets as analysts watched for any signs of policy change in the regime, especially as it pertained to Saudi oil production, which has remained high despite a worldwide glut. 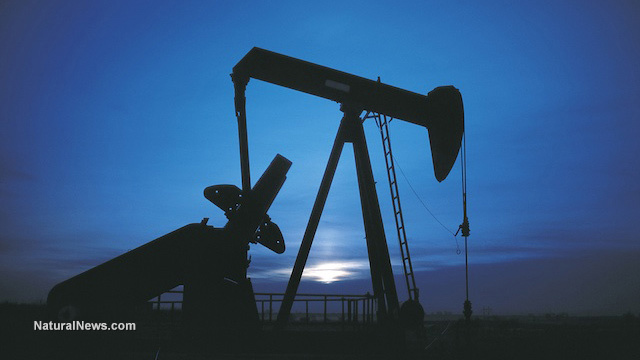 CNBC said that March prices for West Texas Intermediate slipped 44 cents to $45.15 a barrel. "I knew we were looking at outright liquidations"
Young, meanwhile, told Bloomberg News that reduced prices mean oilfield-service providers are going to face a "double-whammy," of sorts. Even as oil companies are demanding price reductions of between 20 and 30 percent, they are also waiting longer to pay their bills, which has expanded cash-flow gaps for drilling and equipment companies, Young said. Young, who has been involved in the restructuring of more than a dozen energy companies, including advising Kirk Kerkorian's Delta Petroleum Corp. through its 2011 bankruptcy, has warned drillers that they should monitor oil producers whom they work with to see if they have protected future cash flows with a variety of financial vehicles. The amount of projected 2015 oil and natural gas output a company has hedged is a strong indicator of whether they'll be able to pay their bills, he said. Another important metric is how much is drawn on revolver loans, Young said. "I'm telling them they really have to keep an eye on this stuff and you've got to be the squeaky wheel," said Young. "You've got to start filing liens if you see a company starting to go down." As prices continued to fall, Young said he could see the future. "When I saw WTI hit $65, I thought we're going to be really busy with restructurings," Young said. "When it hit the $40s, I knew we were looking at outright liquidations."